At the IFA expo today, Huawei took the wraps off what seems to be its official flagship for the season, the Mate S phablet. Sporting a 5.5" 1080p display, it adds a unique touch to the slim and stylish phones arena, and we mean a Force Touch, as a version of the Mate S will come with the pressure-sensitive screen technology that can tell if you are tapping lightly, or applying more pressure, and zoom in the camera or gallery app, for instance. Besides the fast Kirin chipset, 13 MP OIS camera with full manual mode, there are many more small and welcome features, like stereo speakers and directional mics. Above all, the phone is extremely thin and stylish, at 2.6mm towards the sloping sides, and dressed up in a beautiful all-metal jacket to boot. Feast your eyes on the full set of pics below, and tell us what you think about the Mate S design concept. So this would be considered D8, if D series still existed. 2700mah, but it uses an AMOLED display, we will see how that works out in battery test. mate 7 is far better than this .....a downgrade if this was to be the successor. .. 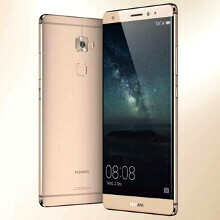 I do not thing it is a successor, reason being Mate series is known for its gargantuan display and 4000mah 2 day battery. S probably stands for small.